LOT WITHDRAWNE. 1A, Serie 15A. 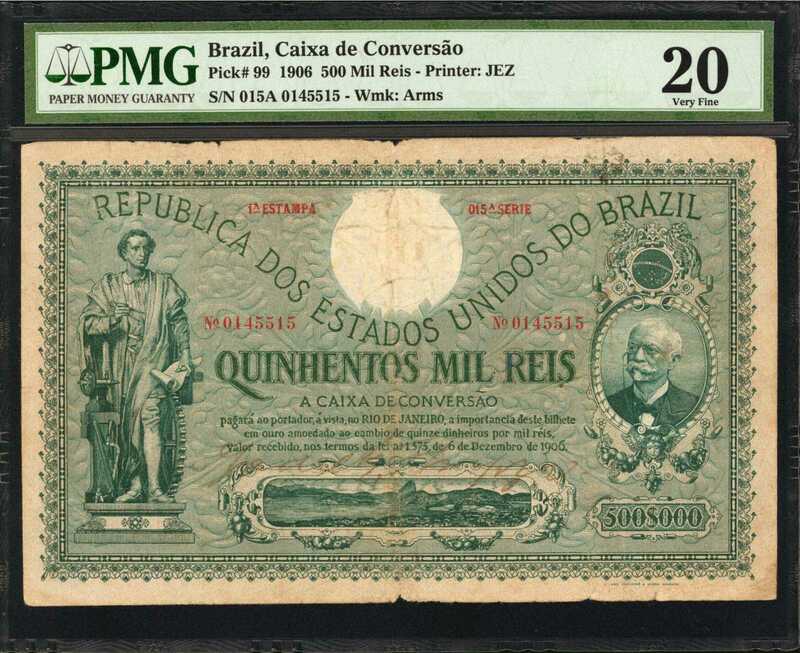 A rare high denomination Caixa de Conversao design that still retains nice color and detail with just some minor margin damage which is also mentioned by PMG in the comments section of the holder.